Curren$y appeared on one of the latest episodes of Complex’s “Everyday Struggle” series to chop it up with DJ Akademiks and Nadeska. During their conversation, Spitta revealed that he felt terrible seeing Lil Wayne go through his record label problems and because he is an independent artist himself, he knew how much of a “monster” Wayne could of been these past 4 years. The former Young Money artist also added that Tunechi has “gave his life” to skateboarding, mentioned Tune stays in the studio until 10:00AM, and answered “that’s all we do” when asked if they will ever work together again. Check out everything he said below! Lil Wayne hit up Sk8 Liborius, which is a private skate park inside the St. Liborius cathedral in St. Louis, Missouri, last night for a late-night/early-morning skateboarding session. Joining Weezy at the skate session was Adam Z, Andre Colbert, Dontae Wilmore, Edgar Benitez, Evan Hernandez, Jereme Knibbs, Tyreek Morrison, and YoYo. Hit the jump to check out some more photos of Tunechi at the skating session! Earlier this morning at around 8:00AM, Lil Wayne took a break from recording his The Free Weezy Album to have a skateboarding session with Lil Twist and Hood at the Hit Factory recording studio car park in Miami, Florida. 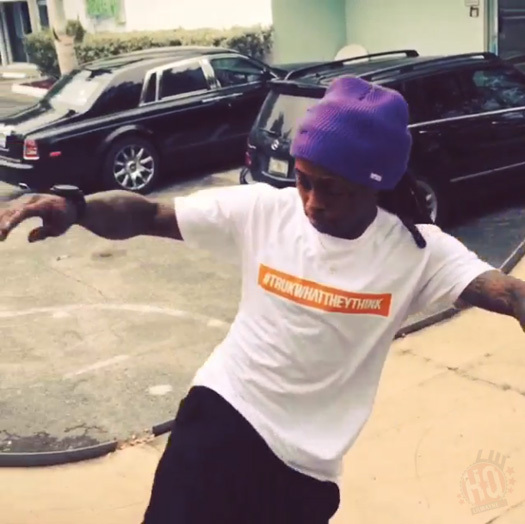 You can check out some footage of Tunechi showing off his skills in the clips below. Do you think Tune is getting better and better on a skateboard in every new video we see of him skating? In other news, Wayne and T.I. are hosting an event later tonight from 9PM at Label nightclub in Charlotte, North Carolina. More details can be found here! 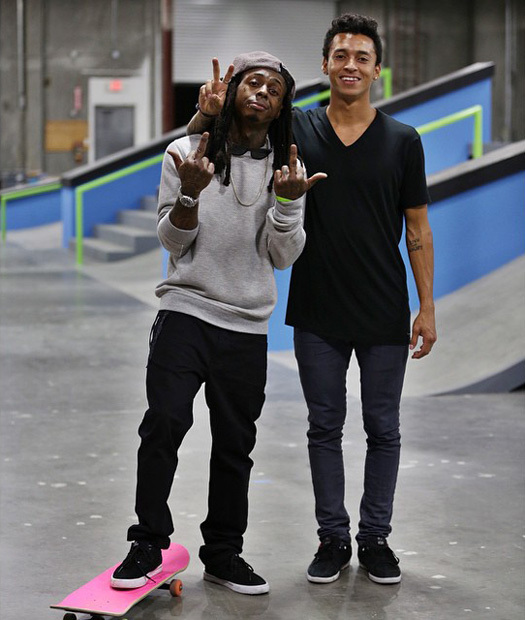 Last week after one of his shows in California, Lil Wayne hit up a skate park with Nyjah Huston and skated until 4AM in the morning. 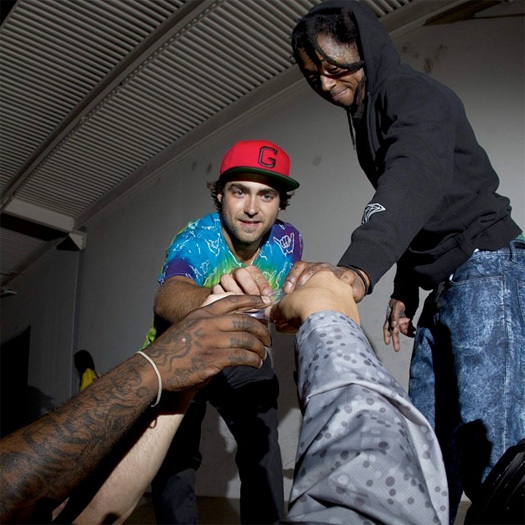 After the skateboarding session, Weezy F Baby took pictures with some of his fans, as well as photographer Nathan Groff. You can check out these pics after the jump below!